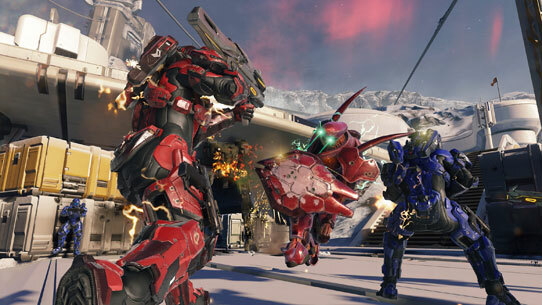 As we prepare for the game’s release in just over a week, I’d like to focus this blog on the Arena portion of the multiplayer experience for Halo 5: Guardians. 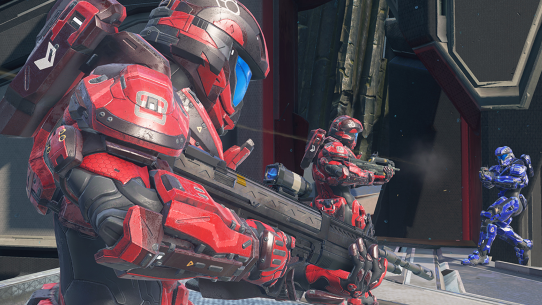 Arena is our pure competitive experience in Halo 5, celebrating the legacy of Halo multiplayer. Arena allows players to go head-to-head in a game of skill where everyone starts on a level playing field. Each player begins with the same weapons and abilities and vies for possession of power weapons and power-ups by maintaining map control throughout the match. Last December, we held a beta for Arena almost a year from launch to get the game into the hands of Halo fans everywhere. Since then we’ve worked tirelessly to address player feedback and refine the game with the goal of delivering the ultimate competitive multiplayer shooter when we launch on October 27. Joining me today are Multiplayer Design Director Kevin Franklin, along with Multiplayer Designers Max Grossman and Quinn DelHoyo to share more detail about the Arena multiplayer experience in Halo 5: Guardians. The Competitive Skill Rating (CSR) system in Halo 5 is designed to ensure high quality matches between players of equal skill, on a per-playlist basis. When you first hop into any of the Arena playlists, you will play a series of placement matches before being earning your CSR. After you complete 10 games, you will be placed into one of 7 CSR ranks based on your performance. Coming out of the Arena beta, we’ve renamed the ranks based on community feedback to provide a more familiar and easily understood sense of progression between ranks. 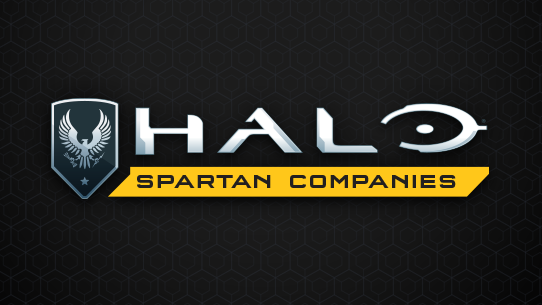 The final CSR ranks for Halo 5: Guardians are Bronze, Silver, Gold, Platinum, Diamond, Onyx, and Champion. After earning your starting rank, the ONLY way to increase your rank is by winning. For team-oriented playlists, this emphasizes the importance of team play. Whether you drop 30 kills in a game of Slayer or single-handedly capture every flag in a CTF match, wins are the only way to improve your CSR. As you win, you will progress through the 6 tiers of your rank. If you are skilled enough to continue winning at tier 6, you will advance to the next rank (yay!). Losing games will cause your progress within a rank to decrease, but you will never drop down a whole rank from losing. For example, if you spend all month working your way into Silver, losing won’t drop you back to Bronze. At the highest end of the ranking system, we have the Onyx and Champion ranks which behave slightly differently than the other ranks. Once you reach Onyx, you will be shown your raw CSR score. Winning no longer increases your tier – it instead increases your CSR score. This allows you to compare yourself with greater precision to other players within the Onyx rank. If you establish yourself as one of the top 200 players in a playlist, you will earn the highly coveted rank of Champion and be shown your place within the top 200. Season boundaries will also be an important milestone for when we make changes to the Arena experience based on community feedback. Once we launch, we will be listening for all types of feedback regarding Arena: favorite maps, mode settings, playlists, etc...We plan to implement all of these changes at season boundaries. Finding a balanced, low-ping match is of the utmost importance when playing Arena. Halo 5 is designed to have a high skill ceiling, and we know how frustrating it can be to play with or against players who aren’t at your skill level. We prioritize match quality above all else when finding matches in Arena. We begin by trying to find other players that are at your exact CSR. If we can’t find enough players, we very slowly open up this limitation and look for players that are around your same skill. In Arena, you will never join a match that’s already in progress. You will get a fresh match every time without fear of putting your hard earned CSR at risk and joining a losing team in the middle of a match. Your skill, teamwork, and decision making during the entirety of each match will decide whether you win or lose. Since joining a match in progress is disabled for Arena matchmaking (still available in Custom Games and in Warzone), quitting out of a match damages the quality and experience for the other seven players in that match. Leaving your teammates high and dry is not cool. If you quit out of games, not only will you suffer a loss and forfeit any REQ points or XP but you’ll also receive a temporary cooldown penalty (ban) preventing you from matchmaking in Arena. If you repeatedly engage in negative behaviors such as the ones listed above, you will receive a ban and be prevented from entering matchmaking. The duration of each ban is dependent on the offense and becomes more severe with each successive infraction, so continually killing your teammates to steal the Sniper Rifle will quickly lead to long timeouts from matchmade play. The Next Generation of Halo eSports starts October 27! No matter what your skill level, Arena is the place to be if you are looking for old or new school multiplayer competition on Xbox. With our new CSR System, finely tuned matchmaking, fair starts, and a banhammer stricter than a MLB World Series Umpire - we are incredibly excited to offer a live eSport for all owners of Halo 5 to participate in. Whether you roll solo or with friends – the time has never been better to step up and define your Halo career, relive the legacy of Halo, trash-talk your friends, or show our Pro-Team how it’s done!